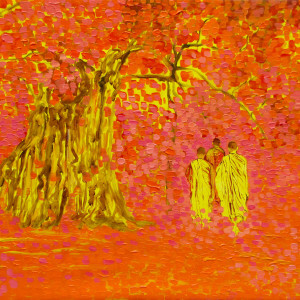 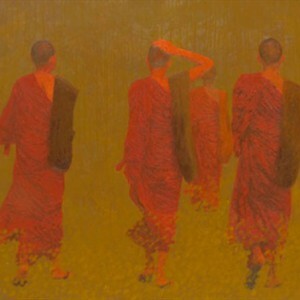 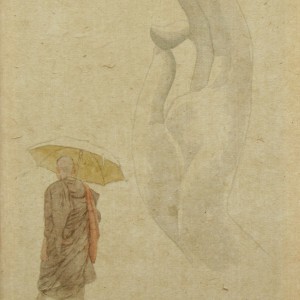 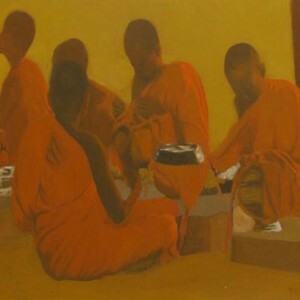 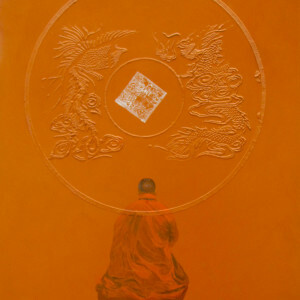 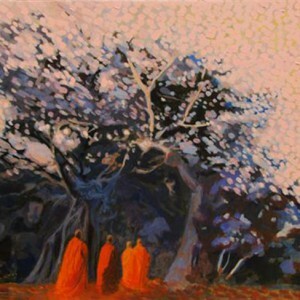 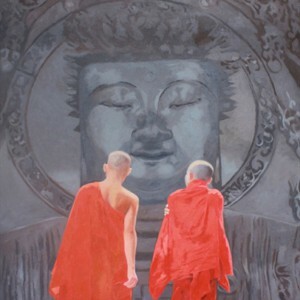 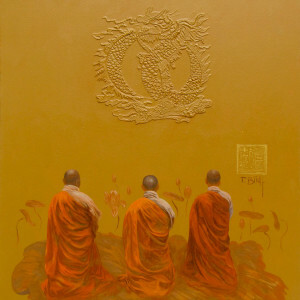 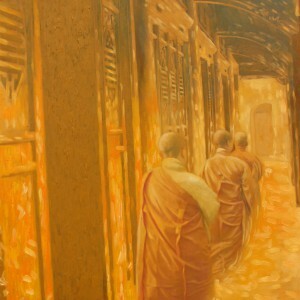 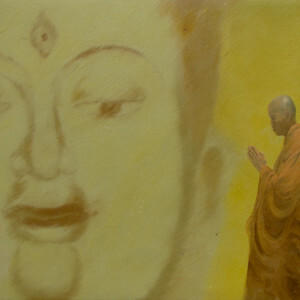 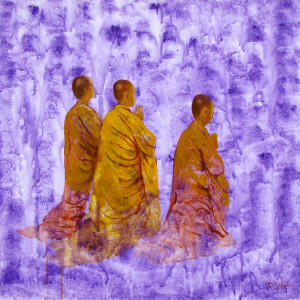 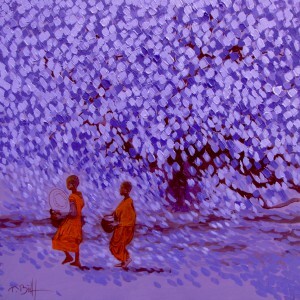 This is a striking piece of contemporary Asian landscape painting by one of the masters of the craft, Vu Thai Binh. 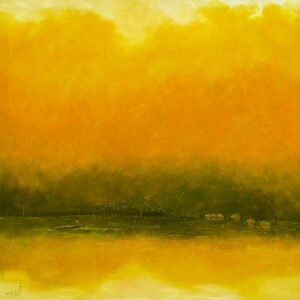 It portrays the beautiful rural Vietnamese landscape during sunset in summer. 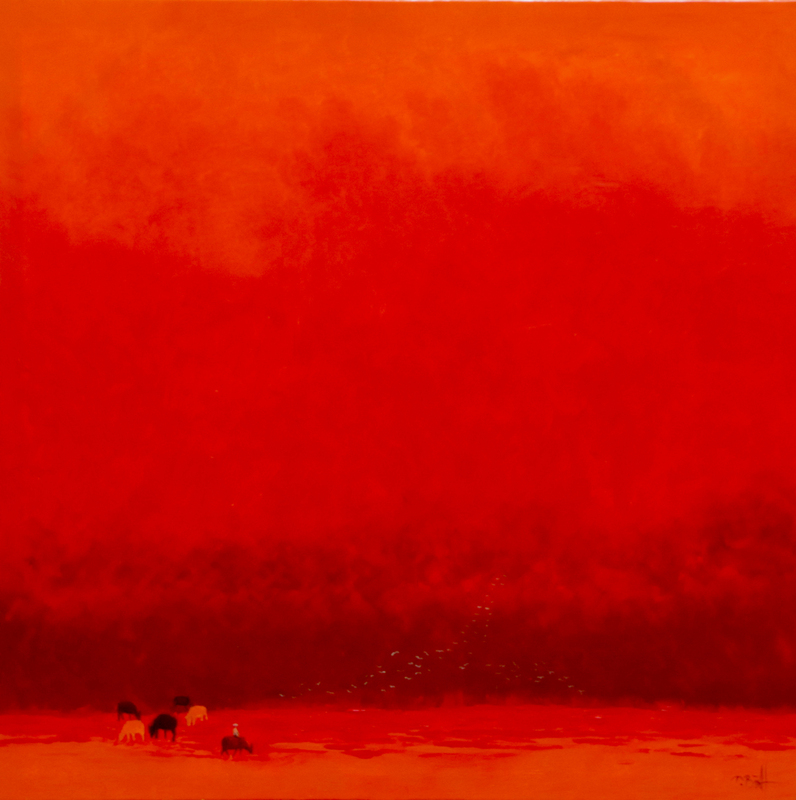 The huge expanse of the sky is captured that turns a russet red. 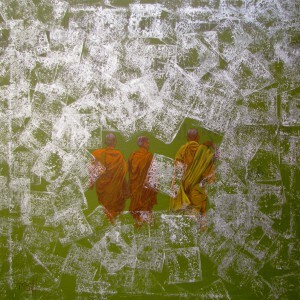 Compared it to, the cattle grazing on the ground and the flock of birds returning home look like mere specks.